Mushrooms are unique. Unlike other plants, they do not convert the sun’s rays into energy. 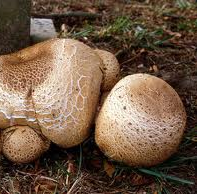 Mushrooms belong to the macrofungi, because their fruiting structures are large enough to be seen with the naked eye. They get nutrition from animal and plant matter. Many species are quite specific about their food source and will be found only under or near certain kinds of trees-some under pines, others under oak, etc. Mushrooms secrete digestive enzymes into the environment and then absorb the products of digestion for their nourishment. This decomposition process benefits the ecosystem. It decomposes dead plant and animal matter that, without the mushrooms, would accumulate to unmanageable levels, and it returns nitrogen, phosphorus, and other nutrients to the soil. In addition, mushrooms, for the sake of their survival, have developed natural substances to prevent microorganisms, such as bacteria and viruses, from attacking them. Humans consuming certain mushrooms can also benefit from these antimicrobial substances. Several species of mushrooms have been used as adaptogens (also known as biological response modifiers), or general tonics, to promote overall wellness and vitality. There are many botanicals that act as adaptogens to assist the body in adapting to environmental and psychological stress. Adaptogens, including medicinal mushrooms, benefit all of the important systems of the body, including the nervous, endocrine, adrenal, and immune systems, by increasing or decreasing their function, as needed, for maximum health. 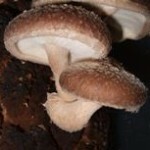 A common misconception about mushrooms is that they are of no nutritional value. However, mushrooms are not only delicious and so versatile, but they are loaded with nutrition and powerful healing properties. They contain numerous substances including glycoproteins, glyconutrients, etc. Mushrooms are rich in disease-fighting phytochemicals. They are also rich in most vitamins, particularly B and C, and contain practically all the major minerals, particularly potassium, magnesium, phosphorus, iron, copper, zinc, chromium and selenium. They supply hard-to-get nutrients. All wild edible mushrooms contain medicinal qualities too, as most of them possess polysaccharides (beta glucans). Beta-glucans and other polysaccharides specifically activate the immune system’s cells (such as macrophages, interferon, T cells, and natural killer cells) in order to prevent the multiplication, metastasis, and recurrence of cancer cells. Another function of beta-glucans is to attach to the receptor sites on the immune cells and to activate them, allowing them to recognize the cancer cells as “foreign invaders” and creating a higher state of immune response. Laboratory experiments have confirmed that several substances in wild edible mushrooms, in addition to the beta-glucans and other polysaccharides, have anti-tumor effects. These include nucleic acids, lectins, sterols, and lipids. The combination of these compounds in mushrooms is believed to enhance the functioning of the immune system. All wild edible mushrooms are probiotic, meaning that they help our body strengthen itself and fight off illness by maintaining physiological homeostasis, restoring our bodies balance and natural resistance to disease. Immunological effects of yeast- and mushroom-derived beta-glucans. Functional properties of edible mushrooms. 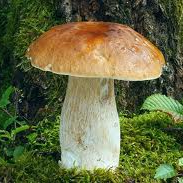 Chemical analysis and antioxidant activity in vitro of polysaccharides extracted from Boletus edulis. Characterization and immunomodulating activities of polysaccharide from Lentinus edodes. Effect of polysaccharide from cultured Cordyceps sinensis on immune function and anti-oxidation activity of mice exposed to 60Co. 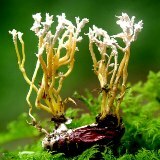 Immunostimulating activity of the polysaccharides isolated from Cordyceps militaris. The Mushroom Agaricus blazei Murill Elicits Medicinal Effects on Tumor, Infection, Allergy, and Inflammation through Its Modulation of Innate Immunity and Amelioration of Th1/Th2 Imbalance and Inflammation. Potential antitumor activity of a low-molecular-weight protein fraction from Grifola frondosa through enhancement of cytokine production. Immunostimulatory activities of a low molecular weight antitumoral polysaccharide isolated from Agaricus blazei Murill (LMPAB) in Sarcoma 180 ascitic tumor-bearing mice. 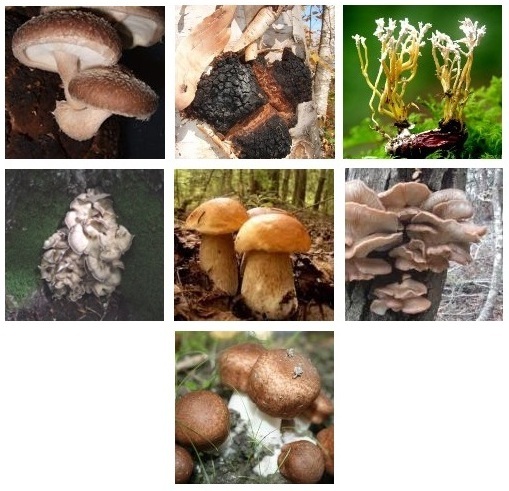 Many species of wild edible mushrooms with medicinal value are widely used for a broad range of diseases. Some species are regarded as therapeutic food for their anti-carcinogenic, anti-cholesteroremic and anti-viral properties. Unlike most other complementary or alternative cancer therapies offered in America, the substances in medicinal mushrooms are being used as mainstream therapy in China, Japan and Korea, and have actually been proven (in laboratory, animal, and human studies) to have powerful anti-tumor activity. They have also been shown to significantly enhance the body’s own immune system to eliminate, or stop the spread, of many cancerous tumors. These so called biological response modifiers can be potent antiviral and antitumor agents, not by killing viruses or cancer cells directly but by stimulating the body’s innate ability to marshal cellular defenses. In a recent clinical trial, immune-assist has been shown to significantly reduce the adverse effects of radiation and chemotherapy, including loss of appetite, energy, and hair, as well as reducing the incidence of nausea. The reality is that this fascination for the medicinal value of wild edible mushrooms is not new. For 3,000 years, the Chinese have looked to mushrooms for their healing powers. The Japanese and Korean have also looked into the healing properties of mushrooms for centuries, so it is fitting that many modern day discoveries regarding the medicinal application of mushrooms have been pioneered by them. In almost all entire laboratory studies published to date, the rate of remission for all types of cancer has been in the high 90% range. While most of these studies have been done with animals, similar results may be shown as clinical studies are conducted on humans. One human study showed that human subjects given wild edible mushrooms in their diet experienced an increase of NK (Natural Killer) cells of 3,000% in 2-4 days. 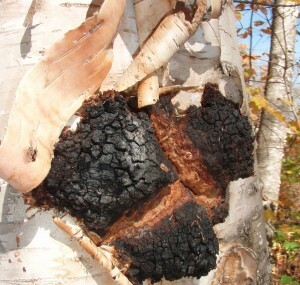 Anticancer activity of subfractions containing pure compounds of Chaga mushroom (Inonotus obliquus) extract in human cancer cells and in Balbc/c mice bearing Sarcoma-180 cells. Agaritine from Agaricus blazei Murrill induces apoptosis in the leukemic cell line U937. Maitake (D fraction) mushroom extract induces apoptosis in breast cancer cells by BAK-1 gene activation. Characterization and antitumor effect of a novel polysaccharide from Grifola frondosa. Inhibitory mechanisms of Agaricus blazei Murill on the growth of prostate cancer in vitro and in vivo. Recent research has indicated that whole mushroom extracts, with concentrations of polysaccharides, are more effective than isolated polysaccharides. Several studies have shown that other components of the mushrooms, besides the polysaccharides, also have anti-cancer and healing properties. The combination of all these elements, as found in whole mushroom extracts, appears to be superior. Hepazym-F is a potent, and very safe, pharmaceutical quality blend of 7 effective mushroom extracts to be used in conjunction with chemotherapy, radiation, or surgery. This formula can also be used by people who have completed conventional cancer treatment, or by people who just want to significantly strengthen their immune systems to aid in warding off illness and disease. 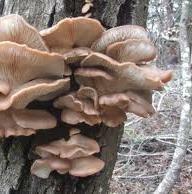 There are over 400 species of wild edible mushrooms. 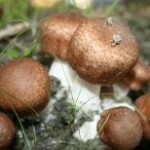 Research proved that all wild edible mushrooms are not equal. The nutritional and therapeutic value of a species of wild edible and medicinal mushrooms varies, depending on the geographical area of growth. Hepazym-F is developed to bring together a mixture of some of the most powerful and research-supported immune modulating mushrooms along with the added benefits of the anticancer, antiviral, antibacterial, antiinflammatory, hepatoprotective, and antioxidant activities. Hepazym-F is made from 7 species of wild-harvested edible mushrooms. These mushrooms have been specifically selected by species and geographical growth area to complement each other in supporting the immune system, cell function and endurance. 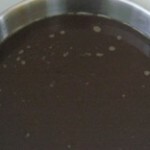 This is a powerfully protective tonic and excellent for building immune function. Hepazym-F is purified using a specific double-extraction method to concentrate a broad range of medicinal elements. This extraction method keeps the delicate enzymes and other phytonutrients intact. This is the most beneficial extraction method because of its ability to preserve and concentrate all the wonderful things that Hepazym-F has to offer. To create the highest level of concentrated nutrients, Hepazym-F is fermented naturally. Fermentation is a natural method of concentrating raw food materials, and preserving them. But Hepazym-F uses no ordinary fermentation process. Mushrooms have tough cell walls, which lock health benefits away in indigestible chitin. Fermentation process makes these molecules more available and can help neutralize smaller levels of toxins. Mushrooms really shouldn’t be eaten raw. Fermentation adds new nutrients, and makes the entire symphony of ingredients easy to digest, and more quickly absorbed by your body. Our ”unique” fermentation process retains and amplifies the probiotic power of Hepazym-F. Unlike ordinary food processing, our fermentation system not only improves the overall nutritional value of the phyto-dense formula, it reduces toxins and anti-nutritive by-products. This is the great advantage of its probiotic effect in your body. Hepazym-F creates the perfect environment for your probiotics to thrive, and delivers what your body is hungry for: a regular and healthy bowel, a renovation in the clarity, texture, and tone of your skin, a new energy – the energy you’ve been missing for years, a real aid in achieving your weight loss goals, and a boost in the strength of your body’s anticancer immunity.